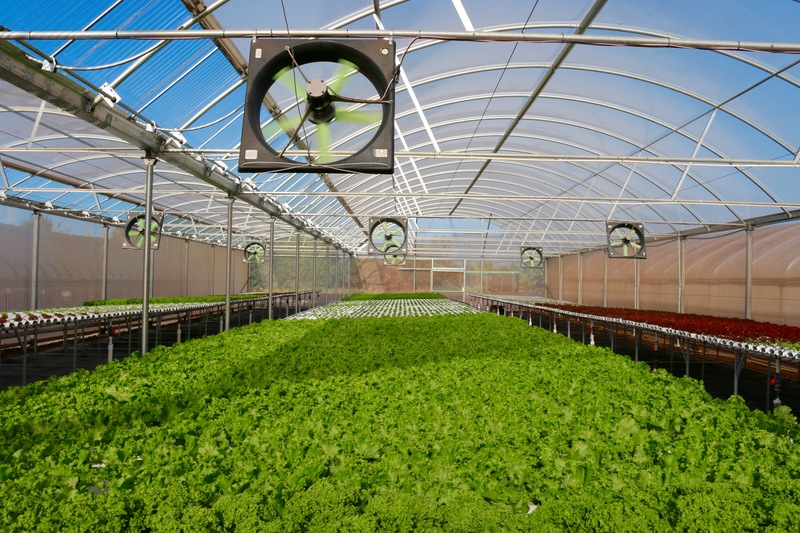 Hydroponics is a method of growing plants without the use of soil. 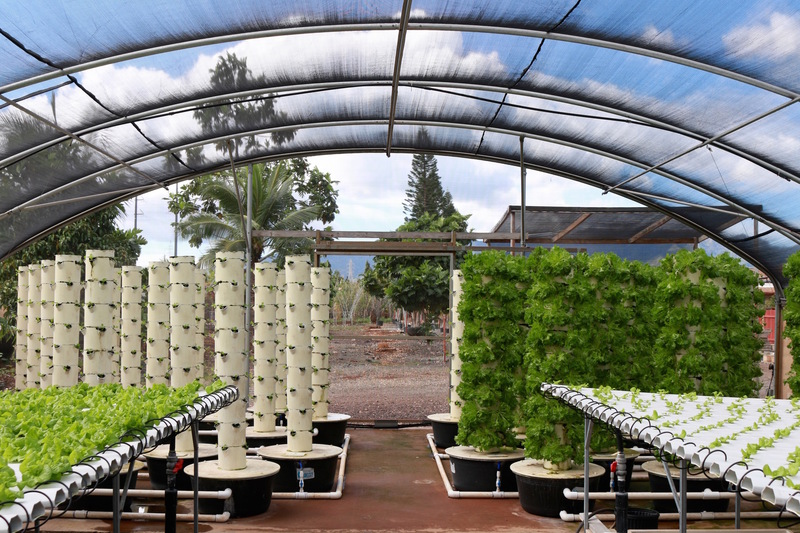 This method of growing offers plants consistent access to nutrients, water, and air. 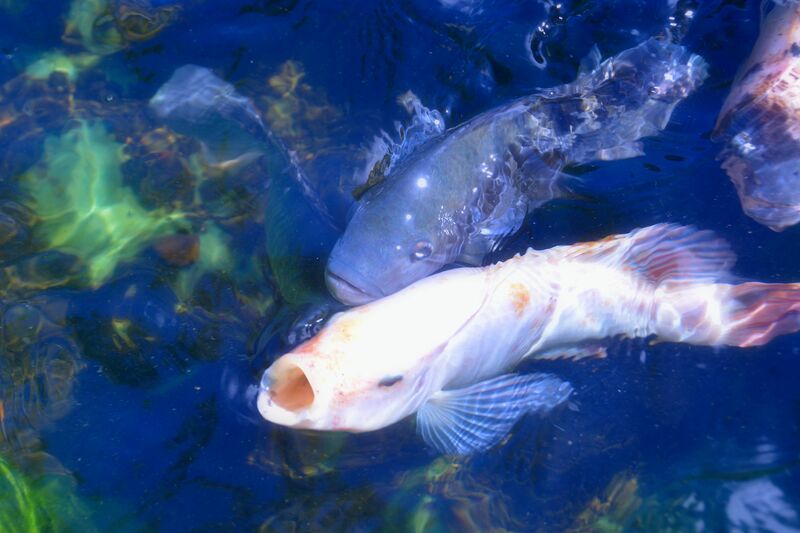 The nutrients in our hydroponic systems come from an array of sources which include the byproduct from fish waste and chelated nutrients. 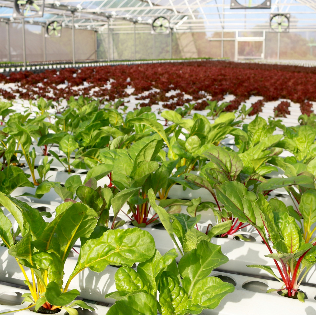 By closely controlling the water and nutrients the plants receive, our plants are able to grow into healthier and tastier products. 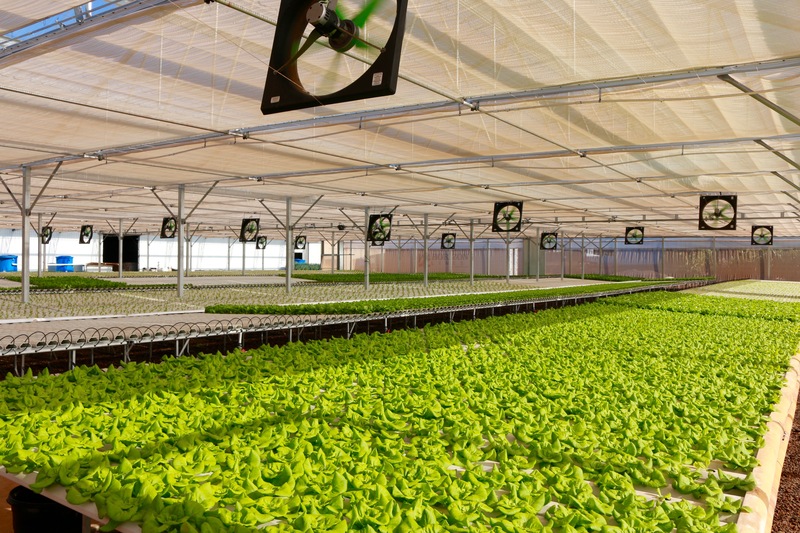 Although hydroponics is unable to be considered organically certified, our hydroponic vegetables are grown in controlled greenhouses without the use of any synthetic pesticides. 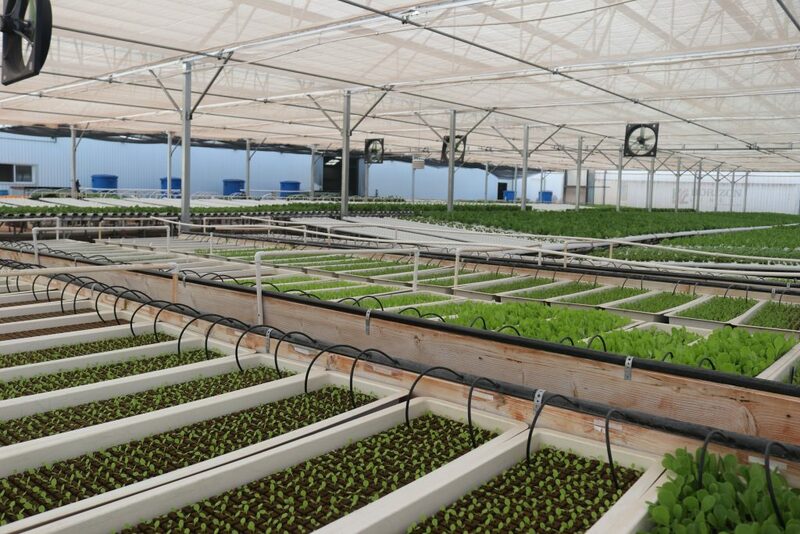 We utilize two different Hydroponic methods, including NFT and Aeroponics. 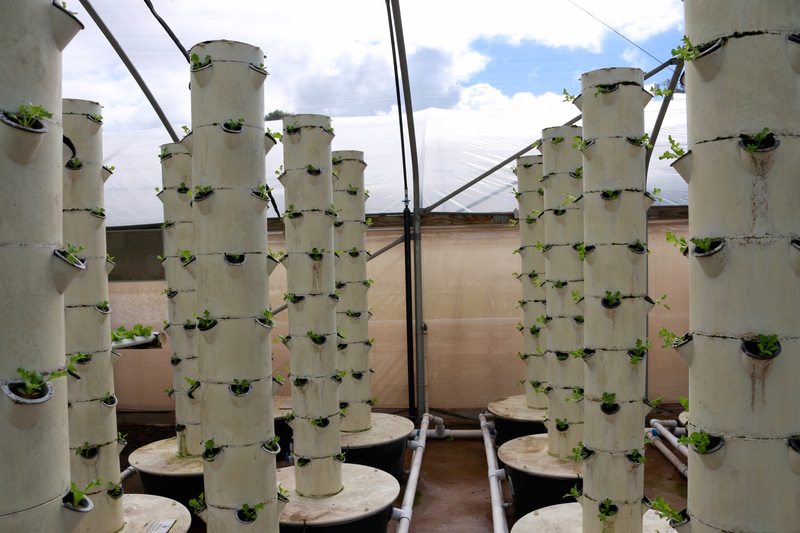 NFT is one of the most common hydroponic techniques for growing due to its fairly simple design. 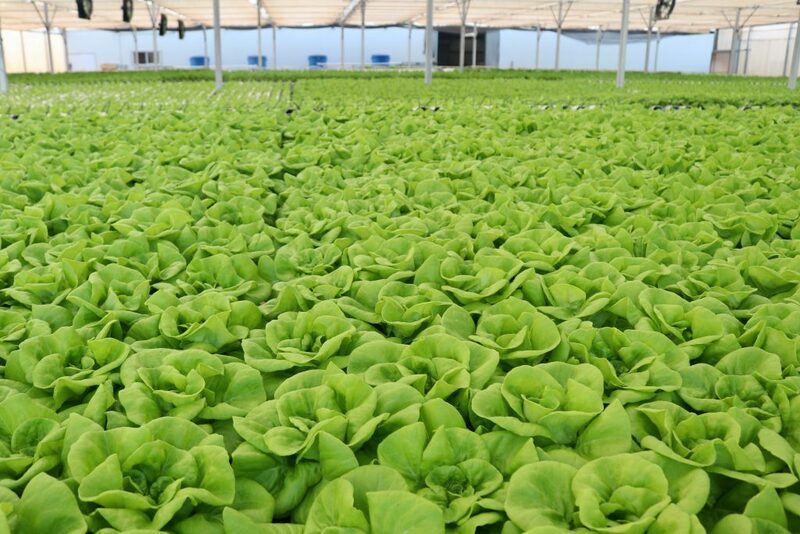 However, we have combined this decades old hydroponic method with our modern aquaculture systems to create a highly sustainable growing environment. 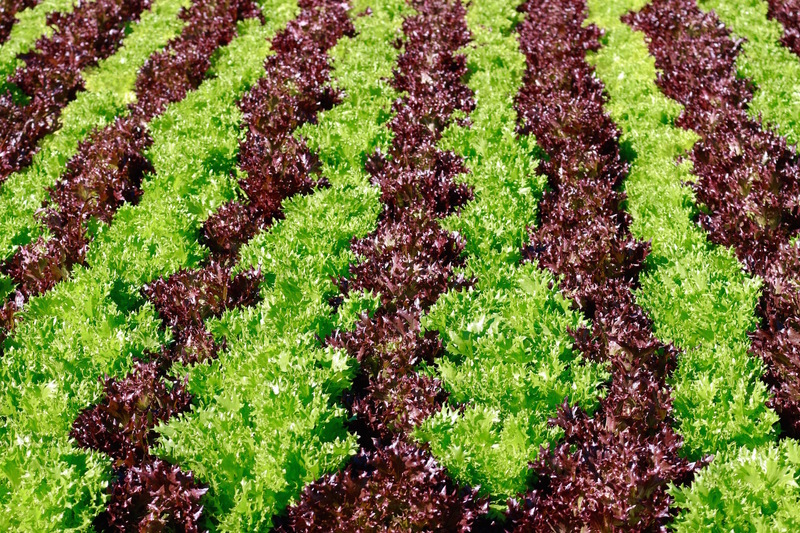 We have found that this system is best suited to grow our wide varieties of leafy greens. 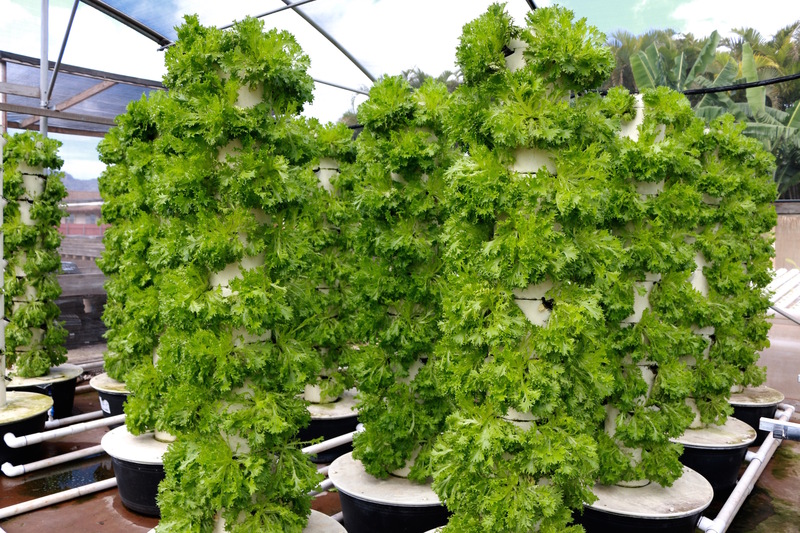 Aeroponics is a variation of a hydroponic system. It is the process of growing plants in an air/mist environment without the use of any soil/aggregate medium. The nutrient rich water flows to the top of the towers. A timer is responsible for turning the water on and off. Therefore, during this process the roots are exposed to both air and nutrients. The reservoir located at the base collects the water and sends it to a pump that circulates the water back to the top of the tower, making this method of growing both space efficient and highly sustainable.